Remotely operated robotic vehicles are critical for underwater exploration, but their tools generally aren’t suited for sampling fragile marine life. He and David Gruber, a biologist at Baruch College in the City University of New York, collaborated on a set of spongy grippers that could hold onto things like kelp and soft coral without crushing them. One coils around thin specimens like a boa constrictor, while another grips like a pair of hands. Other types can easily be designed and manufactured if a specific grip or different size is required. 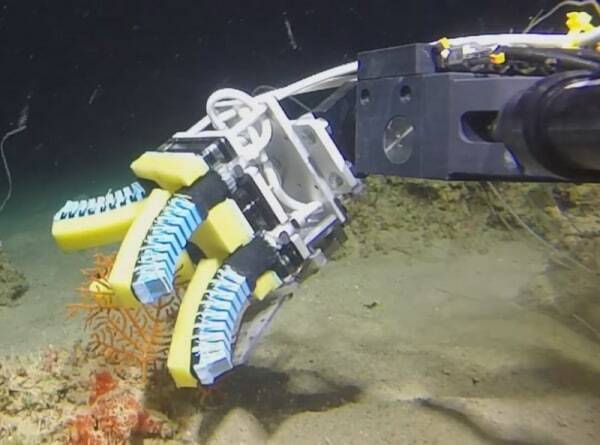 These “squishy robot fingers,” as the researchers call them, allow for retrieval of delicate corals and animals that live too deep for human divers to harvest, and would be crushed by ordinary grippers. Eventually, it could even lead to letting the robots test organisms without having to damage or detach them and bring them to the surface. The team’s work is documented in a paper published Wednesday in the journal Soft Robotics.